Thanksgiving and Black Friday mean traffic and transit changes in the D.C. area, including some on Friday that could cause serious confusion as only some reversible roads may switch to normal rush-hour configurations. WASHINGTON — Thanksgiving and Black Friday mean traffic and transit changes in the D.C. area, including some on Friday that could cause serious confusion as only some reversible roads may switch to normal rush-hour configurations. The 95 Express Lanes in Virginia are expected to point northbound all day on Thanksgiving, with regular operation resuming Friday. On Friday, Metro will charge regular weekday fares and riders will have to pay to park at Metro garages. Since Metro expects fewer riders than usual, all trains are scheduled to be six cars rather than the usual mix of both six-car trains and eight-car trains. MARC and VRE will run on “S” schedules Friday. 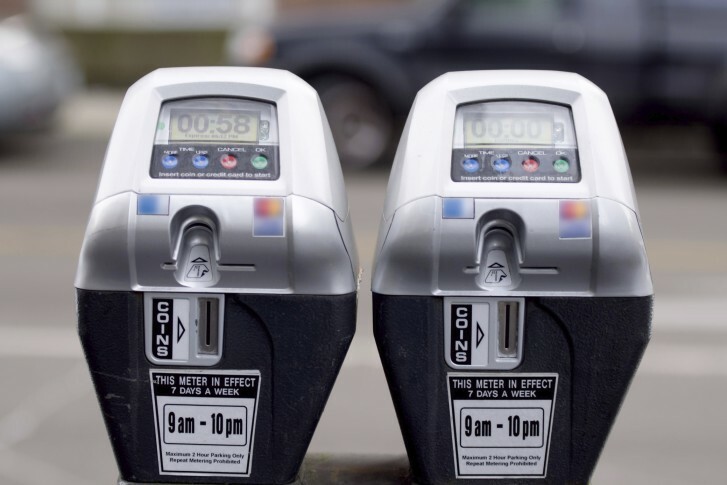 The District, Alexandria and Arlington are among the areas that will not enforce residential or rush hour parking rules on Friday, and where drivers do not need to feed parking meters. Drivers need to pay for parking in Montgomery County, and drivers must follow streetcar parking rules in D.C. along H Street and Benning Road in Northeast. Despite the break on Friday, normal parking enforcement in the District is in place on Saturday. The enforcement changes mean that roads controlled by the D.C. government, such as Connecticut Avenue, are not scheduled to switch to rush-hour mode Friday. However, since Friday is not a federal holiday, roads such as Rock Creek Parkway and the Clara Barton Parkway that are controlled by the National Park Service are expected to operate in their typical rush hour configurations, U.S. Park Police Lt. David Schlosser said Wednesday. That could lead to issues near the Chain Bridge where the Clara Barton Parkway becomes Canal Road. Also because Friday is not a federal holiday, normal weekday HOV rules apply Friday across the region.